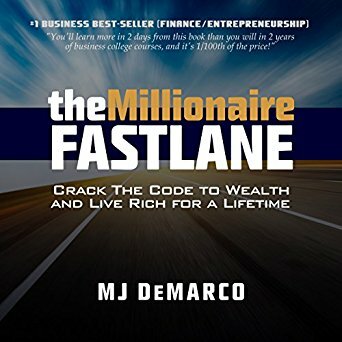 The Millionaire Fastlane by M.J. DeMarco - Dream it. Believe it. Archieve it. This book changed my life and the lives of my closest friends, who are now all reading this book. I’ve read it four times in four weeks as I’m writing this. Many times will follow to refresh the knowledge which is covered in this book. This post is about summarizing the methods and mindset of those who have achieved great prosperity in a comparatively short time. Within a few years, millions can be realized. M.J. heard that the Internet has produced more millionaires in the last 10 years than the last three decades combined. I agree. Never before people had such a great reach. I will record his most important points here and hopefully never forget them ever again. He keeps talking about being lucky to be a self-made millionaire. Only he also emphasizes that he is the creator of his own Luck. Luck is an event. But events only come with progress. 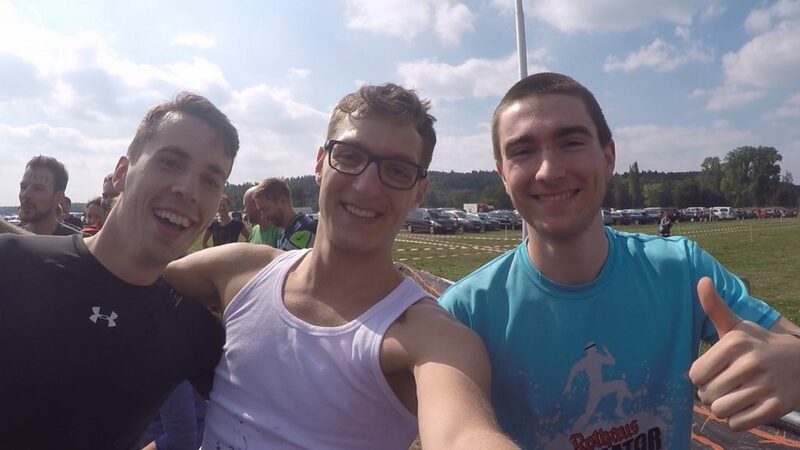 A good example here is the comparison of the two brothers: one plays a role-playing game in his spare time, the other works on his ideas, transforms them into prototypes and participates to competitions. Which one of them will have the luck to earn money with his ideas? In his book, he refrains from directly explaining what exactly he has done step by step to earn his millions. That is not important at all. In 1999, social media was still in its infancy. His SEO services do not exist anymore today. It is about the methodology, the mindset, and the CENTS acronym (see below). Many say that they only need more money, then they would be helped. If you can’t cope with 2000€, you won’t be able to cope with 20.000€. Your standard of living will increase and you will find ways to spend the money. Designer clothes, a more expensive car. Accumulate liabilities. In his book, he addresses a very interesting concept. We do not pay our liabilities with money, but with lifetime. 500€ at 10€ hourly wage is 50h of our lifetime, which we have to sacrifice to pay it off. Without interest. He also illustrates it on a 5 dollar bucket of chicken. It was big in the media, who walked into a fast food restaurant with an internet coupon, got a bucket of chicken worth 5 dollars for free. There were queues where the passengers partially camped 2 days in front of the restaurant. 2 days time in exchange for 5 dollars. These people value their time for free. Would a cancer patient who would die in a week do the same? In a month? A year? At what point would people get up and do something better with their lives? The classic way and to provide for your pension are equities and ETFs. But this type of investment usually takes a lifetime to really generate the millions. So the bankers. For him it wasn’t very tempting, a wheelchair doesn’t fit into a Porsche. ETFs shares and the like work with the compound interest effect which of course the earlier you start the more value is generated and takes 30-40 years. Each year there is 8% or 10% “guaranteed” interest and after 40 years a fortune has accumulated at the age of 65. A decisive moment in his childhood was when he was on his way to an ice cream parlor and his dream car was standing in front of him. He saw a man running from a shop heading for the car and immediately concluded that this could not be the owner because he was far too young. When he finally dared to ask him what he did for a living and how he managed to afford such a car when he was not even 30, he said: “I am an inventor and entrepreneur”. From that moment on he knew there was a way to get rich young. Without a physical talent like baseball and without inheriting. His journey began. In one sentence: turn from consumer to producer. Tim Ferris and Rober Kiyosaki have one thing in common. They made a lot of money with their best selling books. We do not know whether Robert has to thank his Ferrari to his real estate investments or his “rich dad” brand with Cashflow games and expensive seminars. They have both understood that once books have been written, they can be reproduced millions of times over with little effort. They produce their own product. We are educated to want the latest smartphone every year. Again and again, new clothes, because these are “in fashion”. Our economy lives on consumption. Henry Ford knew that Sunday wasn’t enough for a weekend, Saturday had to be free time also. Who consumes on two instead of one days freely after desire and mood, boosts the economy and makes also sometimes a route with the car. Many celebrate the end of school or university. They are finally finished learning. Unfortunately, I was also one of them. Kind of… The school had made books so bad for me that until a few years ago I had to yawn directly at the thought of picking up a book. I was learning through videos and online Documentations. Our world is changing faster and faster, and those who do not change with it will fall by the wayside. Kodak and Blockbuster are good examples. Smartphones and Netflix are simply modern. In order to keep pace with this change, we must continue to educate ourselves. We ourselves can bring wealth. No Guru can do this for us with his 5 points plan. He will probably apply the paradox of doing. “Do as I say and not as I do.” He teaches to buy shares to make the big money but earns his fortune with his coaching. In shares, he only has 1% of his fortune, because if this is lost, it is not that bad. Well and that’s the way you should follow? We all have 24 hours a day. How we spend them, is our choice. Let’s use this time to build something up or to make ourselves comfortable 4 hours a day in front of the TV. Our decision. Time is our fuel, and it’s getting less and less every day. The movie “In time” shows this really well. Everyone sees the remaining time on their forearm. The rich use it to do what they want. The poor have to work all day long to have enough time left for the next day. To live on…and to work. I have this acronym on my bedside table, on the back of my smartphone, at work… Soon it will be firmly anchored in my long-term memory and will never be forgotten again. Control: If you have contact to your customers only through Amazon, and they block your account for any reason, you earn nothing from one day to the next. Take control and host your shop on your own server and collect email addresses to keep in touch. 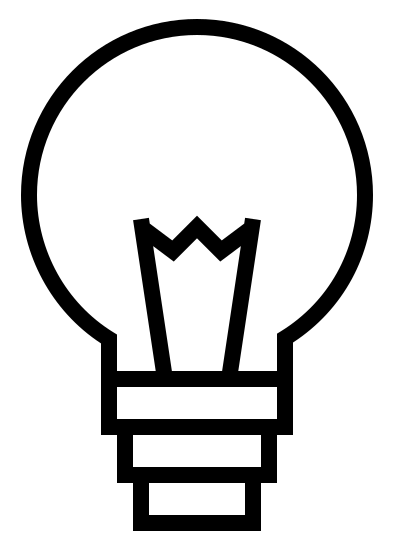 Entry: If you can start a blog with WordPress within a day, anyone can. However, if you study medicine and open your own medical practice, the entry is significantly increased. Less competition. Need: Do you “Do what you love” or “Do what the market needs”? If a hip-hop shop is opened directly next to a retirement home and the surrounding area has nothing else youthful, this shop will probably not survive very long. The market decides, not your love of the subject. Time: As your business grows, will your time grow with it? As a sausage seller, you can sell 1000 sausages a day at a full-time job. With a franchise, you would be able to sell 40,000 sausages at 40 locations without having to invest time directly in sales. Your time is free from earnings. Scale: The sausage stand again. Without a scaling concept, you will never get over the 1000 sausages. Software, for example, is infinitely scalable. The code is quickly copied and licenses are quickly sold. This process can be fully automated using tools. When 100 people buy and use your software, it’s the same amount of work as when 100,000 people use your software. Keyword Bill Gaze. Right now I’m testing my Online Instagram Marketing program which interacts with your target group and generates more sales and visibility to your Business. See the Instagram posts on this blog. Control: Our Code is working for us. No humans, just machines. No one can shut down Coode from running except ourself. Instagram tolerates such programs, because it keeps Users on their platform, generates more traffic and allows them to sell more advertising time. Think always in win-win. Entry: It takes time to deal with Python, Selenium, Docker, and HTML. Need: Instagram has about 1 Billion Users and 25 million business profiles. The program has proven that it works. A field test with several other accounts is currently in progress. New or additional types of marketing are needed as a business. Time: The goal which we are working on is to let the user set it up. He registers, set the parameters and clicks a button. In the backend, the Docker Container is set and runs for him. No time needed from our side. Scale: As mentioned above, computer programs have unlimited Scale options. In times of cloud computing, my backend scales up and down with the user traffic. 10k new Users? No problem, the servers are stable.